What devices are Siri available on? 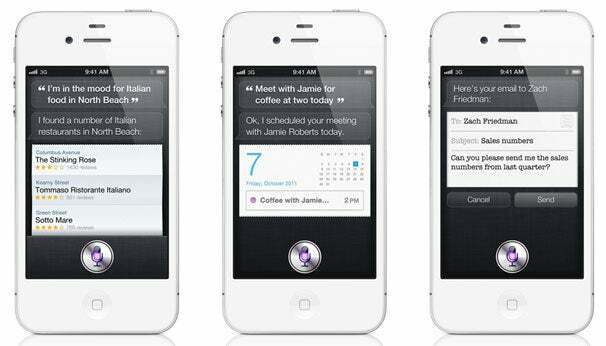 Siri is a feature exclusive to the iPhone 4S. Apple did not say whether the feature would be available on the iPad 2, which uses the same dual-core A5 processor. What languages does Siri work with? Siri supports English, German and French voice input. Apple said more languages would be added over time. How do I invoke Siri? 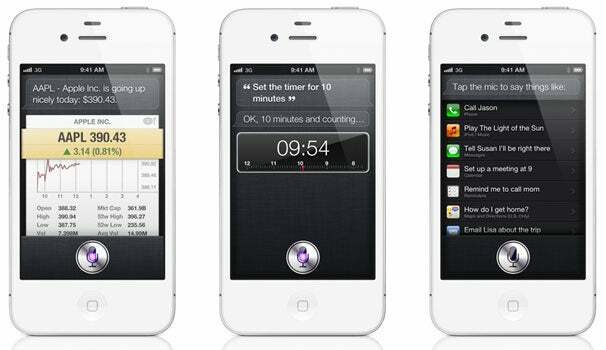 You can call up Siri by pressing and holding the home button. You then press the microphone button at the bottom of the screen and start speaking. Does Siri need an Internet connection? Yes. The service uses Apple’s servers to process your queries and return relevant results, so you will need a working Internet connection on your phone, either 3G or Wi-Fi. 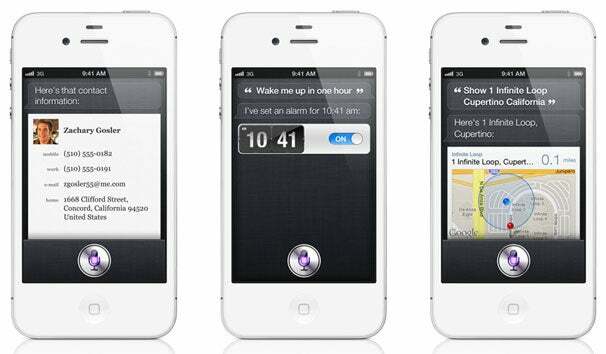 You can ask Siri to set a reminder for you, send a text message, get weather reports, set calendar appointments, send e-mails, search through your contacts, set alarms and timers, or get directions. Reminders and tasks are location-aware through the new Reminders app in iOS 5, so you can ask Siri to remind you to pick up your dry cleaning when you leave work. Do I need to use specific phrases? No. Siri understands what you say, as well as what you mean. It’s context and location aware. So, for example, if you ask Siri for “Any good pizza around here?” Siri will detect your location and reply “I found several pizza restaurants near you” and arrange them by their Yelp rating. If you continue asking “How about burgers?” Siri will remember you just asked about restaurants and will show you the relevant listings. Do I need to use full names with Siri? No. Siri will know who your spouse, friends and parents are, as long as you designate their relationship to you in the address book. So, for example, you can ask “What’s my mom’s e-mail address?” and Siri will show you on screen her e-mail addresses you have stored in your contacts. Can I have some more Siri sample queries? Can Siri read texts and e-mails to me? Yes. When you receive a new text or e-mail, you can ask Siri to read you the message aloud. Can I dictate texts or e-mails? Yes. You can ask Siri, for example, to “Text Tom I’ll be five minutes late.” Siri will then display the text on screen for your confirmation before it is sent. The same method can be used for e-mails. Can I dictate in third-party apps? Yes, but not via Siri. Apple integrated a new microphone button in the iOS 5 keyboard that you press and start dictating your text, whether it’s a Facebook status, e-mail or notes app. Can Siri do Google searches? Yes. You can ask Siri to search the Web via Google for any search terms. Because the queries are processed through Siri’s servers, Apple will be able to see what searches are being done through its services, including your location.